SLC Arts is pleased to announce their recent grant recipients. This year the New York State Council on the Arts (NYSCA) released an additional 20% in funding, resulting in more support for North Country artists and more cultural events for everyone! Loretta Lepkowski will use input from the Tug Hill Tomorrow Land Trust, the Tug Hill Commission, and community members to select venerable Tug Hill residents for the subjects of five paintings. These portraits will accompany oral histories and videos produced by The TAUNY Center. Craig Thornton will write four original plays to be produced and presented by the Little Theatre of Watertown in summer 2016. During the development process, the playwright will read his work in various public venues to garner feedback for revisions. Liza LaBarge will teach graphic arts students from Parishville-Hopkinton Central School on the use of observational drawing techniques to transform their initial sketches into works of art with an emphasis on hyper‐realistic rendering. Bill Newman will be working with students in Canton Central’s Technical Theater class to design and create backdrops to be used in the school’s two 2015–2016 theatre productions. Patricia VanPatten will instruct students in grades 8–12 at Madrid-Waddington Central School on the techniques used to build and paint moveable sets and backdrops for the school’s two annual theatrical productions. The Arts Community of Lewis County will present an alternative-content film series, featuring influential films from various genres. The Arts Community of Lewis County will also host a festival, with a diverse line-up of activities and artist exhibits, to celebrate the local artistic talent of all ages and skill levels. Clayton Young People’s Theater will offer a week-long musical theater experience for young people ages 5–18. Students will learn about acting, teaching, and choreography and take part in a junior production of Aladdin. Clifton Fine Economic Development Corporation will present six summer concerts with a variety of musical genres. Colton Historical Society will present the musical I Do, I Do. Quilts, on the theme of “The Fabric of Our Lives,” will be displayed as an integral part of the performance. Community Performance Series will produce two large-scale musical theater productions to be presented in July. The DeKalb Historical Association will present three spring concerts, featuring traditional fiddle music, bluegrass, and popular songs from the ’20s through the ’70s. The Ives Park Concert Series will present an inaugural series of nine Saturday concerts, that will feature a wide range of musical styles and include a children’s concert. The Lewis County Historical Society will present four winter concerts, featuring talented artists from Central New York. The Massena Chamber of Commerce will present ten summer concerts at a local community park. The Morristown Gateway Museum will present a series of nine concerts, featuring musicians from the region, in July and August. The Morristown Public Library will host a three-dimensional chalk art event. An artist will create a work of art on the sidewalk near the library during the community’s two-day Plein Air Festival. On the first day, the artist will create the outline; on the second, children of all ages will be invited to fill it in. North Country Players will present a full-length Broadway musical during the month of July. Northern Lights Orchestra will perform six free, public concerts in St. Lawrence County during the summer of 2016. In addition, the orchestra plans to host two rehearsals that will be open to students at two St. Lawrence County schools in 2016. The Norwood Public Library will offer workshops for children, ages 7–12, led by ceramicist Sara E. Lynch. Kids will draw images and render them in clay, and Sara will choose one design to make as a professional sculpture to be displayed in the library. Sackets Harbor Historical Society will offer a series of three concerts illustrating various aspects of traditional Latin music. The Town of Colton will present a series of five summer musical performances. The Town of Lewis Library will offer two independent summer projects—the construction and painting of a take-home bird feeder and a performance by Merry Go Round Playhouse. WPBS TV will offer a day of family fun and learning at Boldt Castle, featuring a variety of arts, literary, and historical activities, as well as visits by PBS characters. Congratulations to our grant recipients! Each of these projects is made possible with funds from NYSCA’s Decentralization Program. 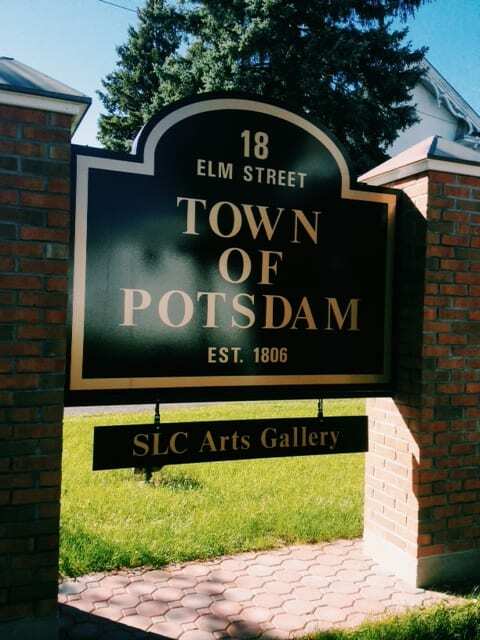 SLC Arts has been a part of this program since 2008, making funds available to artists, municipalities, libraries, and not-for-profit organizations throughout St. Lawrence, Jefferson, Lewis counties. For more information on grants offered by SLC Arts, visit www.slcartscouncil.org/grants/ or contact Alicia Murphy, Regrants & Community Engagement Coordinator, at 315.265.6860 or arts@slcartscouncil.org. Made possible with funds from the Decentralization Program, a regrant program of the New York State Council on the Arts, with the support of Governor Andrew Cuomo and the New York State Legislature, and administered by the St. Lawrence County Arts Council.